First day of Spring called for some house projects. We are finally getting around to installing some decent lighting. 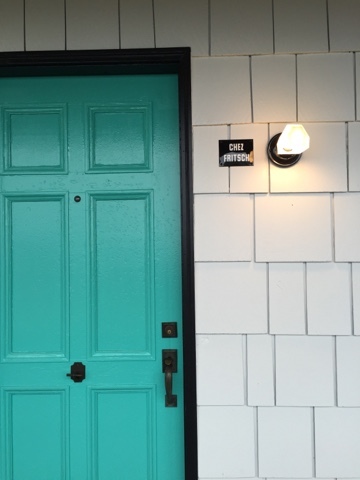 Loving this sweet little door moment, made possible by a new light and some Chez Frisch signage. Home is where the heart is...it feels good to give ours a little love. Our home has definitely been feeling (and looking) neglected after months of us zipping away to the mountain every weekend. Honey, we are home.